Popular media personality and cross dresser, Denrele Edun has shared a glimpse of his past with his followers on Instagram. 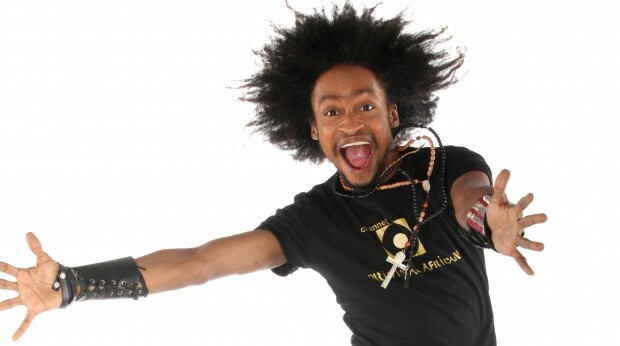 Popular Nigerian television host and media personality, Denrele Edun has taken to his social media to narrate to his fans how he was publicly humiliated during an acting audition on a day that was supposed to be joyful. 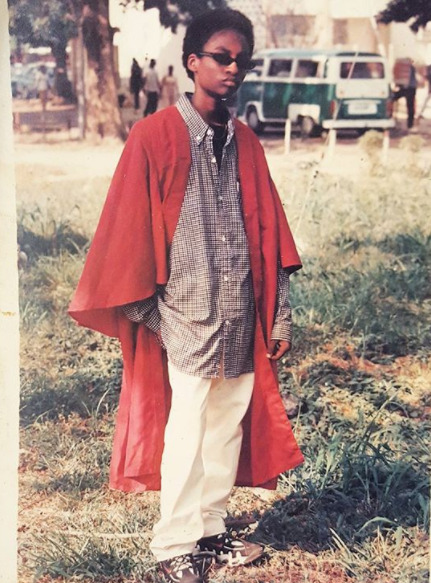 Denrele who posted a Throwback photo from his Matriculation Day in University of Lagos, took his fans back to 1998. Throwback to my Matriculation Day in Unilag. 1998. Day of Glory that became a Day of Disgrace! Back Home (then), we had this little-black-and-white-brandless-TV that never showed steady pictures…We always had to slap it hard for it to show properly and each heavy slap only held vice for bout 20mins! I was always exasperated with it! One Sunday, I rubbed anointing oil on it and Alleluia, the “skoin-skoin” of this toolbox-sized TV ceased and it was perfect picture all day (only on that Sunday)! Then & there, I saw a promo for an audition: New young actors and actresses wanted for the most popular family series back then. (D Executive Producer is late now, Heaven bless her soul!). I was FRIGGING EXCITED. Jotted down d address, went d next day (Monday) to their office in Ikeja, paid 2k for d form & got the Audition dates. The actual auditioning date was the same day as my Matric. Even before the Matric, I posed with a makeshift gown (cos I couldn’t afford one) & raced to Ikeja in my very best ensemble (My Dad’s checkered shirt, my best denim pants, borrowed shades and my Yaba-Aba-made trainers that always smelt so bad after I took them off). I was at the auditioning ground from 10am thru till 7pm waiting for my turn. I honestly didn’t mind the long wait…I wanted to be on the show so bad cos I needed the cash, exposure and of course, work. My turn and I went in with all d confidence in d world. They called in 10 of us & when it was time to act, I nailed it. However, there was an Actor on the panel (very popular at that time) who was eyeing me in disdain. He suddenly started throwing questions at me, perhaps in a bid to make me look stupid or throw me off but i was damn ready for him. He looked me squarely in the eye and told me, I recall this too well; “YOU WILL NEVER MAKE IT IN THIS INDUSTRY. YOU ARE TALENTLESS AND JUST WASTED OUR TIME. YOU WANT US TO PUT U ONSCREEN? SUCH A DISGRACE”. I thought he was reading from d script. Next thing, I was walked out with the others. D other guys tried consoling me but I left shattered. Trekked from Ikeja to Yaba. Cried all The way home. U know my name, not my story. U’ve heard what I’ve done, but not what I’v been thru!